Modio 5: your all in 1 xbox 360 mod tool, Profile and usb editor. Modio's extremely intuitive and easy to use interface focuses on showing you what you need and nothing else. Do what you need to do as quickly as possible. 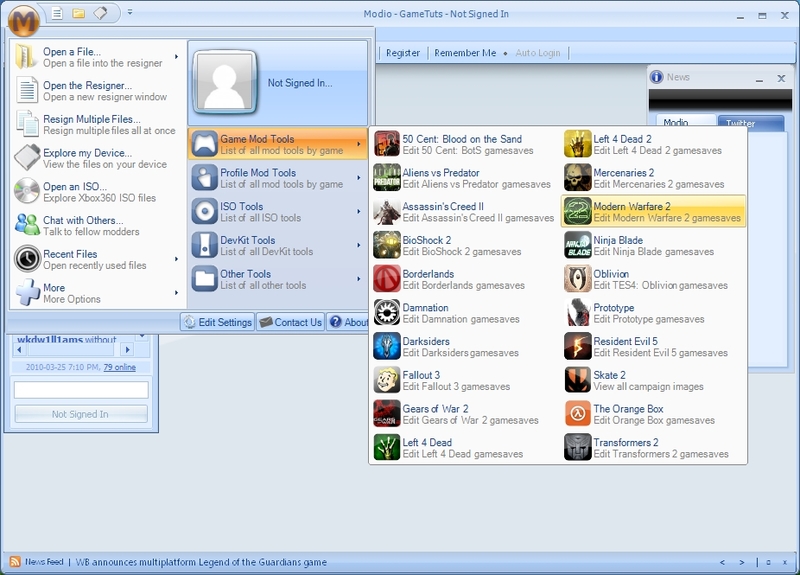 Modio allows you to unlock any achievement for any game you've played. Can't seem to get that one hard achievement? No problem! Impress your friends by getting thousands of points! Modio has a built in chat feature that allows you to chat with other people using Modio. You can use this to catch up on the latest modding news, discuss saves, or even get some help. You can now easily transfer your gamesave and profile and edit both with the quick tools built in! USB compatible. Thanks, keep the tools coming! Thx! I hope it will work. You must reply in order to see the hidden content!